Interested in speaking at, hosting or sponsoring a future event? Techstars Startup Week™ Seattle offers five days of exciting events to connect and empower our local entrepreneurial community. Organized by volunteers who are experts in their fields, this annual celebration of our vibrant startup culture is powered by our great local sponsors. A 2017 Bright Local study found that 97% of consumers read online reviews for local businesses. We live in a world where average star rating is the most important factor consumers look at when judging a local business on review sites. How can your business rise above the competition if you don’t have a perfect five-star rating today? It takes adopting a five-star state of mind – understanding how consumers use reviews, setting goals for customer service excellence, developing a strategy for dealing with customer feedback, and organically growing reviews. Your customers are already talking about your business online and shaping your reputation, whether you’re listening or not. It’s time to actively join the conversation, gain consumer trust, and stand out. In this session, learn from Yelp’s Local Business Partner – a digital-age marketer with 10+ years experience – about strategies that will empower you to better manage your online reputation. Biz Fair is the free one-day, annual event that all current and aspiring small business owners should attend in Washington. It’s hosted at the Renton Technical College and is planned by the Biz Fair Planning Committee. Sharpen your business skills by attending seminars taught by savvy business experts who share their knowledge and real-life experiences in a no-sales environment. Gain access to valuable small business resources by visiting the Exhibitor Resource Center staffed by representatives from federal, state and local government agencies, and business and trade associations. 8:00 a.m. to 3:30 p.m.
Biz Fair continues to be absolutely FREE to attend. Parking is also free, but limited - arrive early to guarantee a spot, as this event attracts between 300 - 500 attendees each year. Spend the day or just a few hours – it's well worth your time. If you have a good grasp on the basics of Yelp for Business Owners and want to level up, then this workshop is for you! This session will educate you on the additional tools available to business owners to help you convert more consumers, plus changes you can implement to gain more exposure on the site. Guidance on how to utilize features like check-in offers, Yelp deals, Request a Quote and review sharing. An overview of page upgrades available to increase transactions and exposure on Yelp. In addition, we will share advice for listing maintenance moving forward to ensure consistency and relevancy. To attend, register below and include a link to your business on Yelp so we can familiarize ourselves with what you do. Bring your laptop or tablet for hands-on participation! How are other business owners successfully navigating the world of online reviews? How can I make my business page stand out with so many other businesses on Yelp? I don't have the money to spend on Yelp ads, what can I do for free to attract more customers? Register for this free business leader event where we’ll answer these questions and more! Laptops required! We will be optimizing your Yelp business page in real-time with expert guidance to make your business page pop – no homework needed, so make sure to bring your laptop, tablet, or smartphone! Insightful information about the ins and outs of online reviews and tips on how to utilize online tools to respond. In addition to best practices for getting started, we will share advice for handling critical feedback, responding to reviews, ways to generate more buzz by creating exciting promotions and monitoring customer leads. To attend, register below and include a link to your business on Yelp so we can familiarize ourselves with what you do. Underground garage parking is available at Lincoln Square South. Be sure to bring your laptop! To attend, register below and include a link to your business on Yelp so we can familiarize ourselves with what you do. Garage parking is available directly across the street from Makers Workspaces. Be sure to bring your laptop! Technology has changed how consumers make purchases, with younger generations focusing more on experiences than products. Consumers still desire to engage with businesses and brands in a personal way. How can you use in-person experiences with your business to increase engagement, generate more revenue, and build customer loyalty? Join Yelp Seattle, The Riveter, and a panel of powerhouse marketers for a conversation on how you can creatively engage consumers through in-store and pop-up events, trade shows, and partnerships. You are encouraged to come with any and all questions! Welcome to The Riveter Capitol Hill, a female-forward workspace and community, helping women and advocate entrepreneurs do powerful things. The Riveter provides the space, networks, knowledge and resources that business owners need to build and scale successful businesses, through high-impact events, ongoing workshops, and a strong network of close to 1000 members. The Riveter has been around for one year with two locations in Seattle (Capitol Hill & Fremont), and one location in Los Angeles. Find out more here! Enjoy light bites from Madres Kitchen while networking over beer and wine with other great local business leaders. Christy Augsburger, Yelp’s Seattle Local Business Partner, will welcome you and lead our panel discussion. Erica Dougherty is a Trade Show Consultant at Exhibits Northwest. As a designer by education and lover of people and planning by nature, Erica offers her clients a unique skill-set when it comes to successful organization of their entire trade show process. From overall exhibit marketing strategy, booth design brainstorming, and quick-on-her-feet approach to challenges, Erica works as an extension of her clients’ marketing teams. Emily Kim is the Marketing Director for Molly Moon's Homemade Ice Cream. She landed at this local community-focused ice cream shop after years working on policy at Seattle City Council. With a background in policy and community outreach, she uses her experience to community build for Molly Moon's. 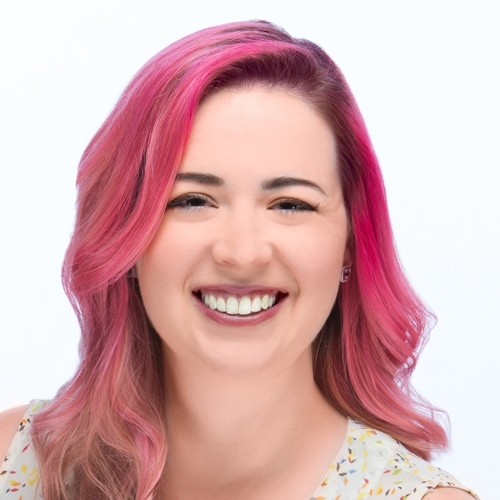 Emily loves building partnerships and creating unique experiences to connect customers to the Molly Moon's brand. Becca Roebber is the Marketing Director and COO of indi chocolate, in Pike Place Market. She has worked with with cacao farmers for over 10 years passionately telling the story of direct trade chocolate to consumers through education, events and classes that all include tasting dark chocolate. Becca and indi chocolate love to work collaboratively with other local businesses so that chocolate can be shared with all different communities in Seattle and beyond. She travels to cacao growing regions as often as possible and works with communities to increase their standard of living through the production of cacao. As the marketing and community director for Yelp Seattle, Cara Lageson is the face of Yelp in the Emerald City. Before moving to Seattle, Cara spent six years growing the Yelp community in Cleveland, her hometown. Now she brings that experience to Seattle, one of Yelp's largest, most established markets. You can find Cara around town bringing together Seattle’s local businesses and Yelpers through unique and compelling community events. Ask questions and continue to mix and mingle as we wind down the evening. Coffee lovers rejoice! You and a guest are invited to Yelp Seattle's Community Connection: a free, private party at the Starbucks Reserve Roastery & Tasting Room for local business owners, managers, and marketers! A biz bash? What can I expect? ☕ A unique opportunity to connect with leaders of the top local businesses on Yelp and the Yelp Seattle team. Plus entertainment from a surprise guest! ☕ Enjoy siphon brewing demos and guided coffee tastings hosted from the Experience Bar throughout the event, along with light bites by Princi. ☕ Snap complimentary photo prints and gifs with Scarlet's Photo Booth. ☕ Take a guided tour of the roastery and learn about the history and design of the building, the Reserve brand, and Roasting Plant operations. A Master Roaster will also be hosting presentations during reach roasting cycle. ☕ Visit our Yelp Help Desk for one-on-one support and answers to your Yelp-related questions! I'm intrigued! What's in it for me? Connect with other Seattle business professionals, sign-up on site for access to more exclusive events this year, and enter our raffle for a chance to win tickets to see The Roots at ZooTunes July 22nd + exclusive Starbucks Reserve prizes! RSVP below, include a link to your business on Yelp so we can familiarize ourselves with what you do, and tell us who you're bringing. Advice for listing maintenance moving forward to ensure consistency and relevancy. Are you an passionate entrepreneur that loves your craft, but could use some education on how to run a successful business? This is a conference designed for you to get specific tools and resources on how to meet your business goals; whether you are just starting out, scaling/hiring staff or focusing on online business. The BAM Success Summit is a conference designed to provide actionable content that you can put to use in your business immediately to see results. Our speakers are experts in their fields and joining us from across North America to share their expertise and inspiration with you. The conference kicks off on the evening of May 17th with a welcome party. You'll get to meet many of the speakers, sponsors and exhibitors and build valuable connections. Conference sessions on the 18th will be kicked off with Julie Fry, founder of the BAM Success Summit and Business Among Moms. Are You A Member of the Business Among Moms community? Access to our Private Facebook Networking Group for the event. INSPIRE Women’s Business Conference was created for forward-looking women business owners and business leaders in our community. These women seek to increase their knowledge to overcome challenges they face in business, build their confidence with new skills, effectively communicate value to their customers, and bring innovation into their organization. Date: May 2, 2018 – Small Business Week! Time: 8:00 am-3:00 pm, Happy Hour starts at 3:00 p.m! 3:00 p.m. Happy Hour & Networking! 91% of consumers read online reviews for local businesses and consumers rank Yelp the number one site for finding them. With 99 million monthly unique visitors via mobile and another 84 million unique visitors to the desktop site, it can be a powerful tool to help grow your business. Join us as Yelp's Local Business Partner, Christy Augsburger, discusses the free tools Yelp offers business owners, managers, and marketers to manage your online reputation and learn ways to use these tools to build relationships with potential customers and grow an engaged business. How consumers discover local businesses online and make purchase decisions. How to claim your Yelp Business Page and download Yelp's mobile app for business owners. The key tools in your business user's account that drive page views and leads. How to respond to reviews & reputation management. Digital Summit gathers digital thought leaders from top brands that are shaping tomorrow's business landscape. They'll be sharing their insights with you on the latest digital marketing strategies, trends, best practices and execution techniques. Come to learn, be entertained and ultimately be better positioned for success in the digital economy. A Bright Local study found that 91% of consumers read online reviews for local businesses. As a local business, it’s important to note that many consumers are finding you online and making a decision about whether or not to spend money with you based on information available on review sites. You’ve probably seen your business on Yelp, but have you taken advantage of the free tools available to ensure consumers can make a purchase decision? Christy Augsburger, Yelp’s Seattle Local Business Partner, will walk you through how you can use Yelp for Business Owners to put your best foot forward on Yelp and tell the story of your business in an online channel consumers are looking to find you. Learn what tools can make you most successful in telling your story on your Yelp Business Page and tips and tricks for managing the world of online reviews. Complimentary happy hour including hearty appetizers, beer & wine. To attend, register below and include a link to your business on Yelp so we can familiarize ourselves with what you do. Parking is available at the Motif parking garage and will be validated. Be sure to bring your laptop! A Bright Local study found that 91% of consumers read online reviews for local businesses. As a local business, it's important to note that many consumers are finding you online and making a decision about whether or not to spend money with you based on information available on review sites. You've probably seen your business on Yelp, but have you taken advantage of the free tools available to ensure consumers can make a purchase decision? Christy Augsburger, Yelp's Seattle Local Business Partner, will walk you through how you can use Yelp for Business Owners to put your best foot forward on Yelp and tell the story of your business in an online channel consumers are looking to find you. Learn what tools can make you most successful in telling your story on your Yelp Business Page and tips and tricks for managing the world of online reviews. Enjoy bites and brews from local restaurants and caterers, mingle with 800+ Chamber members and foodies, while bidding in a value-packed silent auction inside the iconic Seattle Aquarium. Visit the Yelp booth for free swag and to sign up for access to exclusive events throughout the year! The Seattle Metro Chamber's annual Restaurant After Hours is one of their most popular events, for good reason. It's a can't miss event for making business connections and getting your fill of the best food in the city. This event has sold out in the past, so don't wait to register! 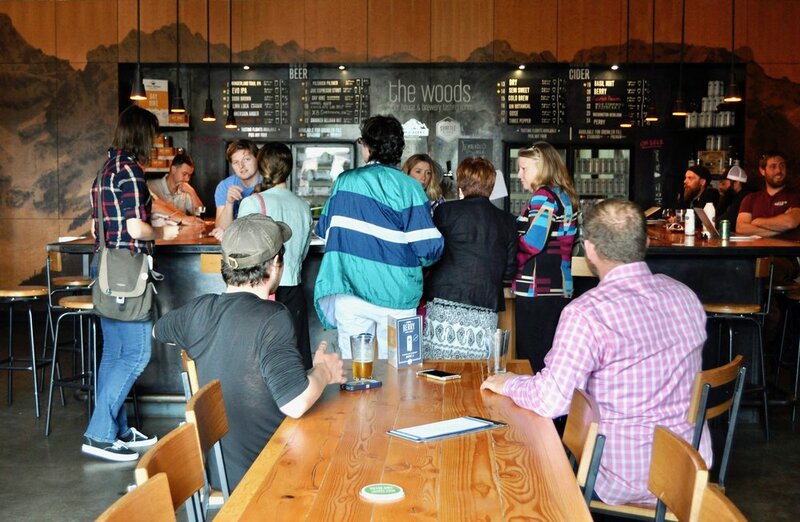 We're taking over The Woods Tasting Room at Seattle Cider Company & Two Beers Brewing for an evening of beer and cider tastings + food pairings! You and a guest invited to Yelp Seattle's Community Connection: a free, private event for local business owners, managers, and marketers! You're invited to mix and mingle with Yelp Seattle and other business leaders while enjoying complimentary beer & cider with food pairings by Bread & Circuses. JayLee Photography will also be snapping free professional headshots that you can upload to your Yelp Business Page and social profiles. Enjoy free chair massages from The Massage Team. Sonos will also be showcasing their latest speakers now with Alexa. Visit our helpdesk offering one-on-one support and chat about free ways to optimize your Yelp Business Page for 2018! Solutions to common questions about Yelp, connect with other Seattle business professionals, and score 20% off Sonos speakers–plus a chance to win the new Sonos One by putting your networking skills to work! RSVP, include a link to your business on Yelp so we can familiarize ourselves with what you do, and tell us who you’re bringing! Networking opportunities to connect with other great Seattle business leaders. A Bright Local study found that 91% of consumers read online reviews for local businesses. As a local business, it's important to note that many consumers are finding you online and making a decision about whether or not to spend money with you based on information on review sites like Yelp. You've probably seen your business on Yelp, but have you taken advantage of the free tools available to ensure consumers can make a purchase decision? Learn about Yelp WiFi, a tool that lets you use your existing WiFi router to effortlessly collect contact information from your customers. You can then easily send out personalized promotions and messages via the communication method your customers prefer to keep them coming back. Use your WiFi for everything from promoting an upcoming event to letting your customers know you appreciate their loyalty. WiFi marketing gives you the ability to send them the right message at the right time. Yelp Seattle and Latino Community Fund of Washington State are hosting a free educational event to help you get holiday ready! Please join us at The Factory Luxe on Thursday, November 9th from 6-8pm for an evening of community resources and tools to grow your business. There will be drinks and light bites to enjoy while you mingle and network with business and community leaders. We will have a brief presentation from Yelp Seattle's Local Business Partner, Christy Augsburger, on the free tools available to get your business more exposure during the busy holiday season. There will be staff available to answer all of your Yelp related questions. LCF’s community partners will also be on-site with free resources and more information to help you get holiday ready and grow your business. Join us for an evening of announcements, networking, and learning. See you there! Our event starts promptly at 6pm. Enjoy lite bites and beverages while you network with business and community leaders. Yelp Seattle and Latino Community Fund will welcome you and talk about the work that they do and how your business can get more involved and connected to the community. Christy Augsburger, Yelp's Local Business Partner, will talk about best practices and unique ideas for making the most out of your Yelp listing during the holiday season using the free business user tools available to you on Yelp. LCF’s community partners will be on-site with free resources to help you get holiday ready. Yelp's team will have laptops ready to help answer questions about your business page while you mix and mingle. People shop with their eyes–get creative and think about photos that best represent both you and your business. Photography is no longer an industry run by professionals with expensive and complicated equipment. Today, staying relevant and engaging consumers means being proactive. In this discussion, we'll cover some ways that better photos and better experiences can help you stand out, bring customers through the door, and boost your business. 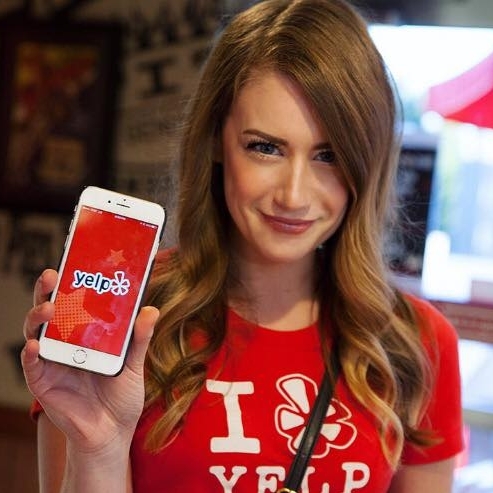 You will also have the opportunity to chat with Yelp's Local Business Partner about ways to optimize your Yelp Business Page with unlimited photos and use Yelp’s mobile app for business owners on the go. The 13th Annual All-Chamber After Hours is your once-a-year opportunity to network with hundreds of members of business organizations and chambers of commerce from around the Puget Sound. Last year’s event welcomed over 300 attendees, making this one of the biggest networking events of the year for the Puget Sound business community. Join us as Yelp's Local Business Partner, Christy Augsburger, discusses the free tools Yelp offers business owners, managers and marketers to manage your online reputation and learn ways to use these tools to build relationships with potential customers and grow an engaged business. A Bright Local study found that 91% of consumers read online reviews for local businesses, with average star rating the most important factor that consumers look at when judging a local business on review sites. Businesses don't have to have a perfect five-star rating to have a five-star state of mind. In fact, it's a mentality that any business can adopt regardless of your current rating today. It's all about setting goals for customer service excellence, developing a strategy for dealing with customer feedback, and getting reviews organically. Gain insights from Yelp's Local Business Partner on how to raise the bar for your online reputation. Learn from experts Ian Lurie, and Christy Augsburger on two different, but insightful topics. Hate speech and "fake facts" sites are a fact of life. But you can push them down in the rankings with a few simple strategies. Ian Lurie is the CEO and Founder of Portent, Inc. and 22-year digital marketing veteran will talk about the basics, and the implications for reputation management. Among other things, Ian is also an expert in content strategy. Yelp's Seattle Local Business Partner, will walk you through how you can use Yelp for Business Owners to put your best foot forward on Yelp and tell the story of your business in an online channel consumers are looking to find you. Learn what tools can make you most successful in telling your story on your Yelp Business Page and tips and tricks for managing the world of online reviews. Cost for this event is $10 at door.